are by far the best product on the market. A leader in the design, production and installation of custom closet doors, Komandor has numerous solutions to complement your closet design. Komandor doors are all tested and produced to the highest quality standards. The Aurora partition system by Komandor is line of products that allows you to divide a large open space into rooms, corridors or office space by building walls out of aluminum and glass. A favored product by architects, Aurora allows the creation of these partitions walls while maintaining privacy and light transmission if necessary. The Aurora line of products provides a custom solution that is cost effective because there is no need to frame or drywall additional bulkheads or walls in preparation of installing this system. 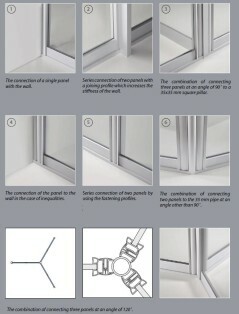 The panels are manufactured in our factory and simply fastened to each other and structurally secured within the room. The process is quick and easy. Aluminum sliding doors (AGAT, ONYX, Lazuryt, Sapphire or Studio) may be used at the entry points to the rooms. 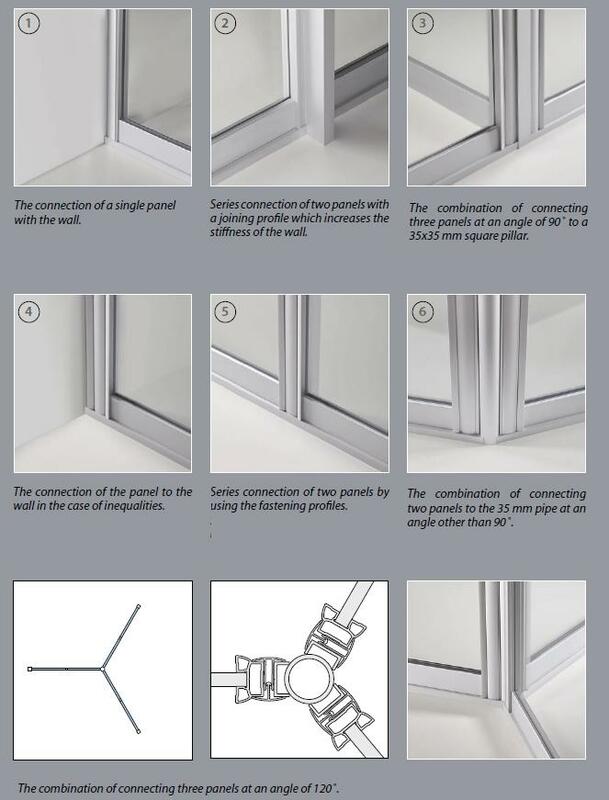 Maximum sliding door width is 1100mm or 43 ¼”. A soft close option is available. 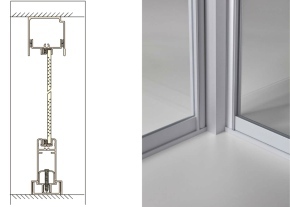 Framed or frameless hinged swing doors can be used at the entry point, can be 600mm–900mm (approx.. 24”-36”) wide. 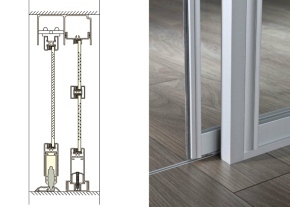 Hinge doors have a lockset option.